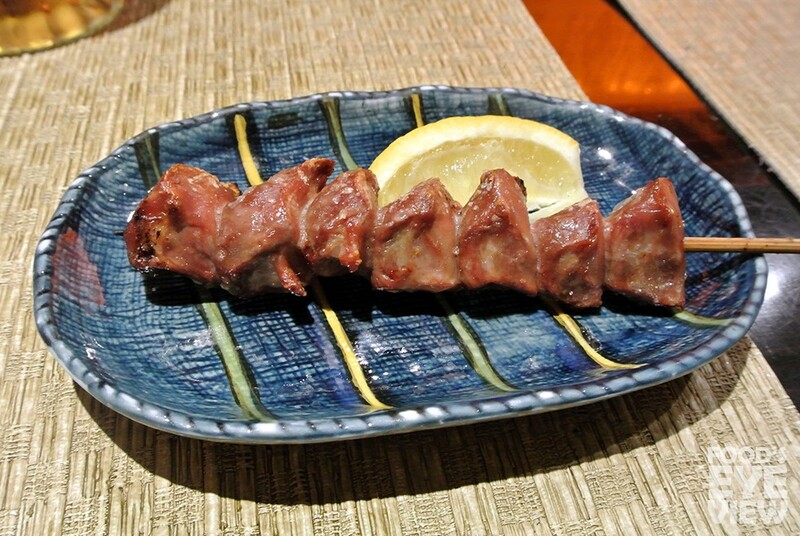 After a rather impressive showing at Kokekokko sent me into full blown yakitori hysteria, I found myself at Torihei just a few nights later for more skewered meats. The South Bay in general is a hotbed for Japanese food that certainly rivals both Little Tokyo and Little Osaka (Sawtelle) in Los Angeles. The East Gate Plaza, where Torihei is located, is also home to Nozomi, Musha, Matsui and 85 degrees bakery; a pretty solid lineup if you ask me. 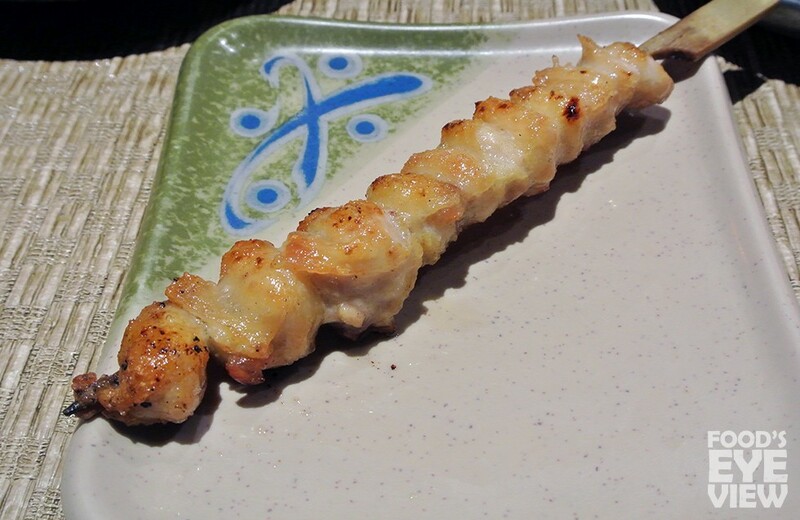 Torihei was opened in 2009 by Chef-owner Masataka Hirai and his partner Masakazu Sasaki. Playing to their own respective strengths, the restaurant centered around Hirai’s yakitori and Sasaki’s oden, though the menu has since expanded to include other izakaya fare and even a limited ramen. The interior features counter seating that wraps around the open grill as well as tables that afford a decent vantage point of all the action. 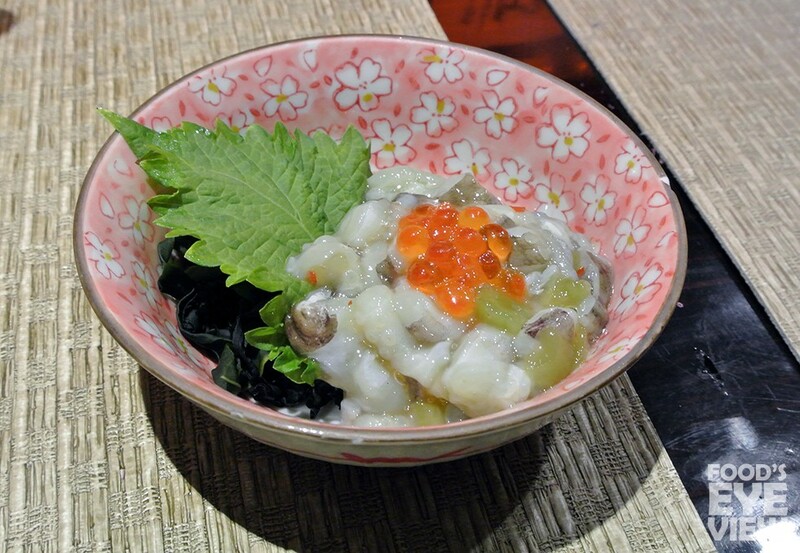 Before delving into all the skewers I started with a bowl of raw octopus, cucumber, salmon roe and a blast of wasabi. The tako was crunchy at first, but quickly gave way to a pleasant chewiness; the orange globs of ikura added a salty burst, but it was the steady dosage of wasabi that underlined the dish. 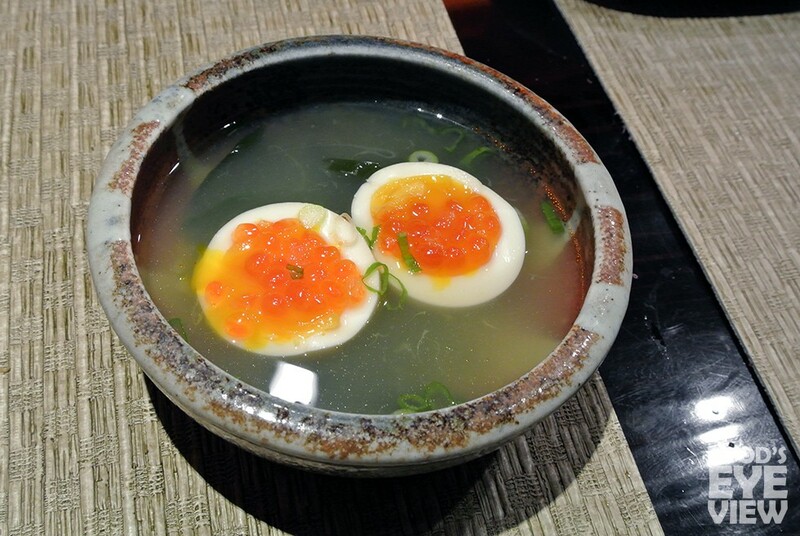 This egg-on-egg beauty combined the soft, creaminess of a soft-boiled egg with the briny pop of salmon roe. When taken with the seaweed-laced dashi broth it was one of the best bites of the meal and a nice segue into all of the meat that was on its way. Grilled clams were an absolute highlight. The bivalves were plump and a bit briney, swimming in a slurp-able bath of their own juices. 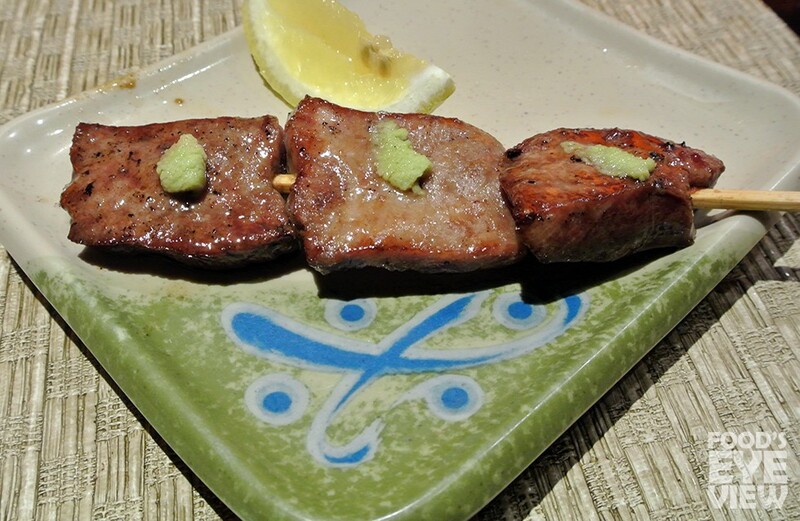 The tabletop grilling over an open flame was a nice touch, similar to the beef tongue served at Musha across the way, and imparted a faint smokiness for a very clean bite. Leading the ensuing parade of skewers were gizzards that showed up with nothing more than a sprinkle of salt. The digestive muscles were characteristically crunchy, and though they generally don’t have much taste to them, they benefitted here from the white charcoal fueling the grill. Tail was a first for me, but instantly became a future must-order as soon as the explosion of pure chicken fat hit my tongue. The crisped outer provided a nice textural counter to the rich interior that was borderline sensual. I had hoped to try the special heart for a side-by-side comparison but it was already sold out (as was the skin) so I had to settle for regular ol’ heart. Size-wise they were noticeably larger than what I had at Kokekokko, and I was able to better discern the natural flavor as they were served shio style (with salt) rather than tare (sauce). 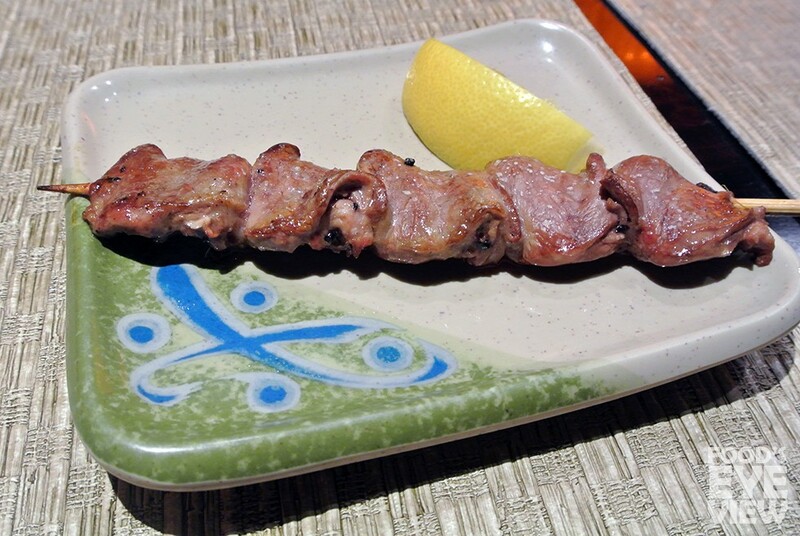 Tebasaki was expectedly simple with juicy on-the-bone meat and a layer of fatty, crispy skin. Not as good as Kokekokko, but still a solid offering. 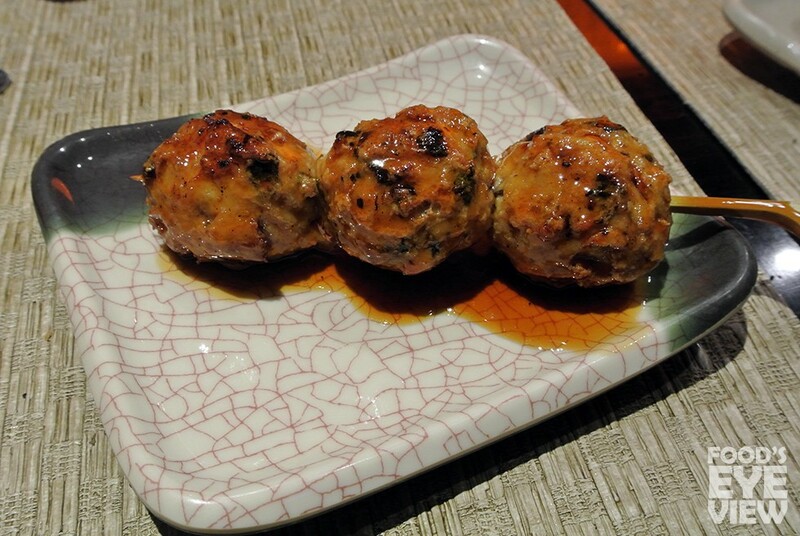 The meatballs themselves were really good, well seasoned and mixed with tiny bits of cartilage and jelly fish (?!) for a distinct texture. 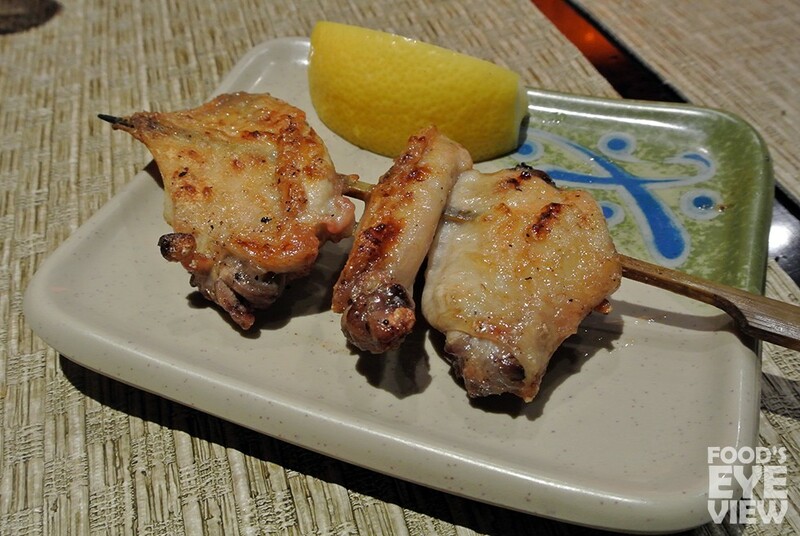 These are one of the most popular items at Torihei and I can understand why, but I personally found them to be over-sauced causing the smoky, char element to get lost. Switching it up from all the chicken, beef tongue arrived fatty and supple, with dabs of wasabi and a squeeze of lemon juice to even out the rich beefiness. Chicken thigh is usually a safe bet, but here it showed up noticeably dry to the point that even the heavy saucing couldn’t salvage one of the meal’s only missteps. 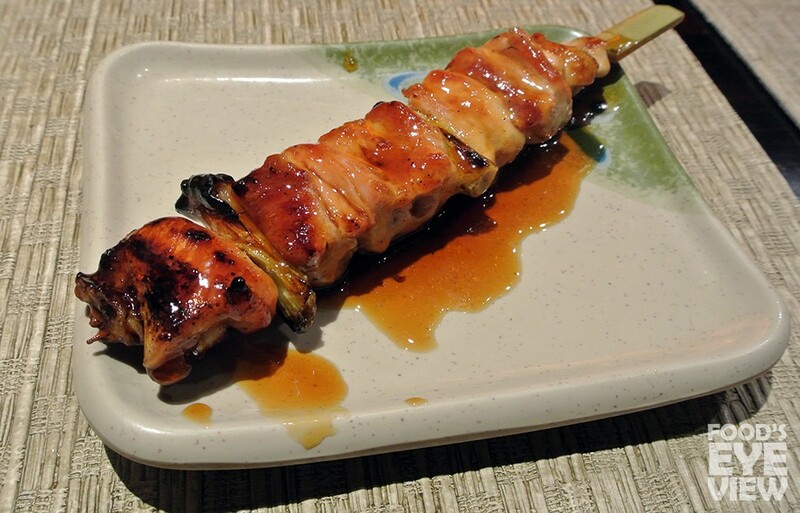 If we’re speaking strictly yakitori then Torihei isn’t my top choice – Shin Sen Gumi and Kokekokko come to mind first. 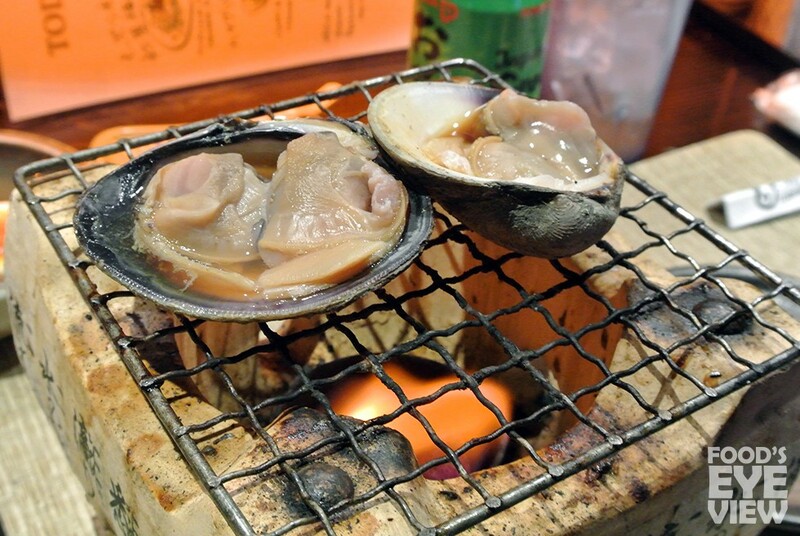 But factor in the extensive selection of oden items and other menu options like the delectable grilled clams, Torihei is ahead of the game in terms of executing such an array of Japanese specialties. It’s more accessible for first-timers than Kokekokko and nowhere near as loud as SSG, plus there’s plenty of parking and they’re open 365 days a year. 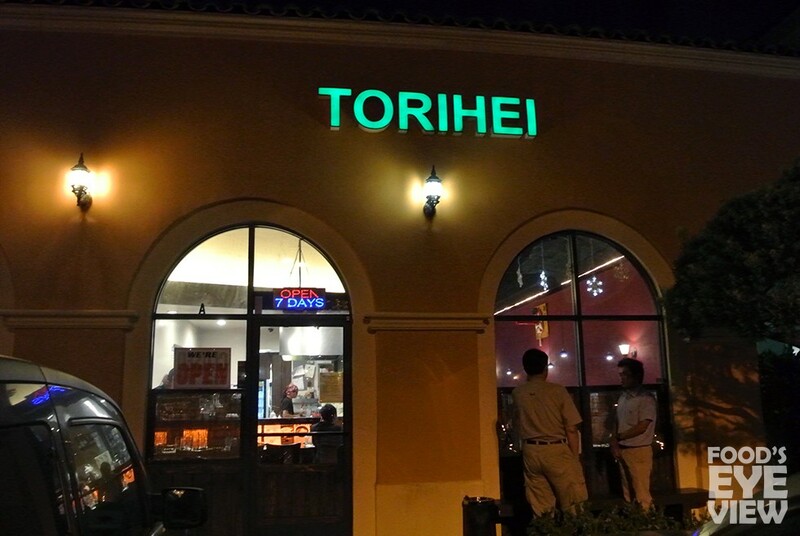 Whether you’re in the area or simply willing to drive for a satisfying meal, make sure to add Torihei to your list.